Is there an official Greek eBay store? Yes there is! A localized website version is now available, shop in Greece all in English — or see other sites like eBay below. 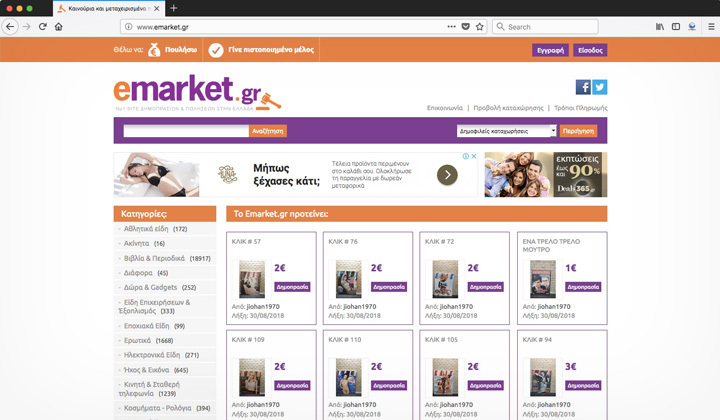 Although there is no actual Greek eBay equivalent, the hugely popular marketplace and auctioning portal has not forgotten it’s customers in Greece. 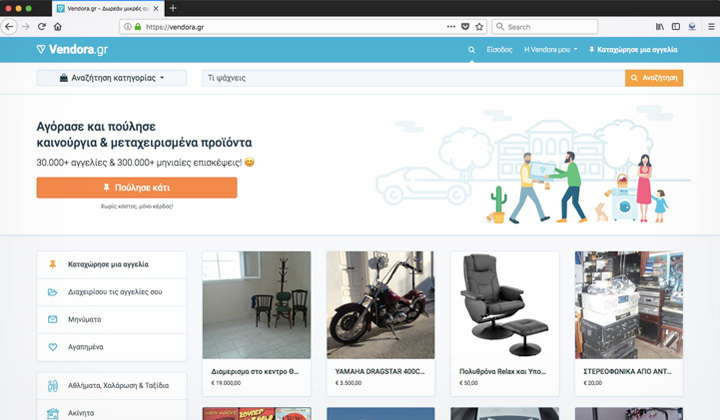 For online shopping and buying used goods, the domain eBay.gr directly forwards to the localized eBay store version in English for those who are located there. Or you can use the e-commerce website even outside of the country, with shipping and delivery to Greece. You’ll find all the related details & instructions below. Also I’ve mentioned sites similar to, and like eBay at the end of this guide. 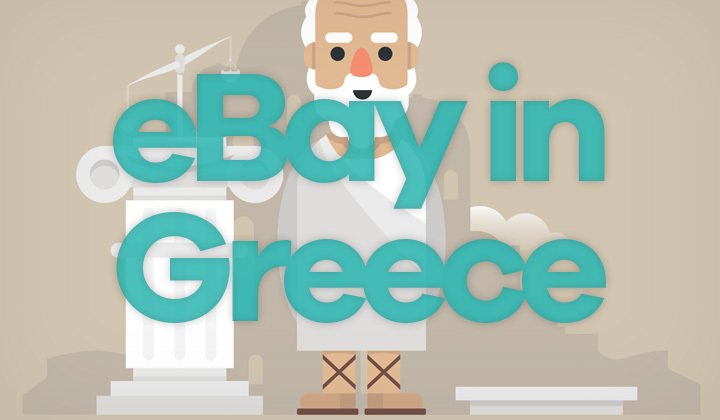 Once you are on the global version of eBay, anyone can use these fine tuning methods for convenient shopping options for Greece — follow these steps! There are many sellers and auctioneers available locally on the shopping platform, here’s how to search among them for cheapest & quickest delivery. Step 2. Towards the bottom part of the page, find “Located in” settings. Step 3. From the drop-down list, choose “Greece” as the country. Step 4. Search for items, results are only from local eBay sellers. Region specific purchases in Europe, Asia, etc. Shop without customs taxes and affordable, quick delivery options throughout Europe. Or alternatively, search through cheapest sellers in Asia, etc. Step 2. First, search for an item that you are looking to buy or auction. Step 3. Where it says “Item Location” on your left, quick select regions such as Europe, Asia, North America, etc. this narrows down searches to your preference. 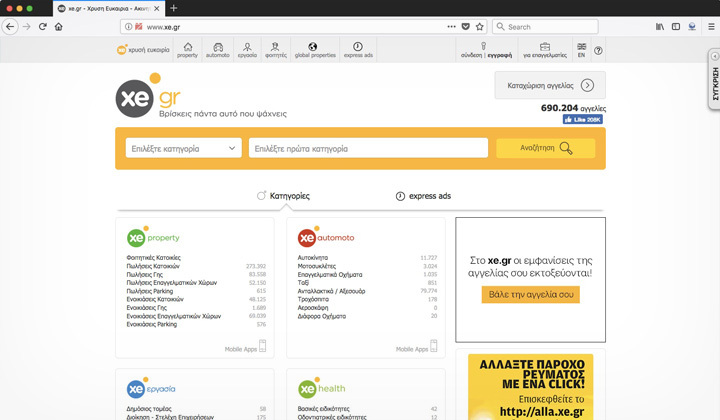 Not many know, that there is a Greek eBay equivalent which is automatically shown to all visitors from Greece on the global version. This is true even if you are using the eBay.gr forwarding domain or access the store directly, you’ll need a Greece IP and internet connection for it to work. Which in practice means, that prices are converted to Euros automatically, and that relevant search results are shown based on your location in Greece. Shipping costs are automatically estimated as well. So even those site visitors who are located outside of the country may still use the seller, and buyer features without problems and a few minor adjustments. You can optionally sign in, and set the country in your user settings. As an international marketplace, global shipping and delivery methods are widely supported. For example, to Greek cities such as; Athens, Thessaloniki, Patras, Heraklion, Larissa, Volos, Rhodes, Ioannina, Chania, Agrinio & Chalcis. And the administrative regions of; Attica, Central Greece, Crete, Eastern Macedonia and Thrace, Epirus, Ionian Islands, North Aegean, Peloponnese, South Aegean, Thessaly, Western Greece as well as Western Macedonia. Few, but some sellers might even provide free shipping to Greece. Also, please note that eBay is not available in the Greek language. You will need to use official eBay in English or alternative, similar sites in Greece (below). You can sell goods of all sorts to Greek buyers through the marketplace. They are a known, popular brand as well as extensive seller features in the English language, this includes the global shipping program, which extends e-commerce to far heights. There are alternatives, that are similar in the way that they are classified sites with listings of both used & new items. While the actual sites are not quite like eBay, with basic features. some even have partial English language support. This classifieds site is big on real estate, and cars but also features plenty of other categories. Advertised as the “No. 1 ad site in Greece”. Languages: Greek, with real estate section in English. Very basic but clean, and easy site for ad listings. At the time of writing, they have more than 30,000 ads in 23 different categories. Languages: Interface both Greek & English. Listings in Greek only. Another classified ads site, with used items. Not as popular. And these were the online shopping websites in Greece most similar to eBay worth mentioning on my list. One pretty good site used to be AggelioPolis, but they have discontinued, and there are others that are hardly used. Leave any inquiries about shopping & auctioning on eBay in Greece. The comments section below is at your service, thanks! Humble thanks for your time & visit, David. Dear readers, you may also be interested in knowing that some of the links are affiliated with certain companies that may pay out commission for leads from my blog. This won’t add up cost and simply supports my efforts. Big thanks.